Trout angling has been slow from both shore and boat at Clear Creek Reservoir. Early morning fishing remains the best time to land a trout from shore. Successful shore anglers caught a few trout on worms at the southeast part of the reservoir. The southern part of the reservoir can be accessed by a trail located near the pond off of Highway 24. A few boat anglers reported landing rainbow trout in the 19 to 23-inch range. Trolling worms with flashers at the southern part of the reservoir has been the most productive method to catch trout. Trolling for trout has been more effective 50 to70 feet away from the shoreline in deeper water. The kokanee salmon fishing remains very slow. The best time to fish for kokanee salmon has been at dawn. The tiger muskie fishing has been very slow. A majority of the tiger muskie followed a lure up to a boat without striking at the lure. The reservoir is closed to trailered motorized watercrafts on Tuesdays and Wednesdays. The current boating hours are from 6 a.m. to 8 p.m. Fishing has been slow as of recently. 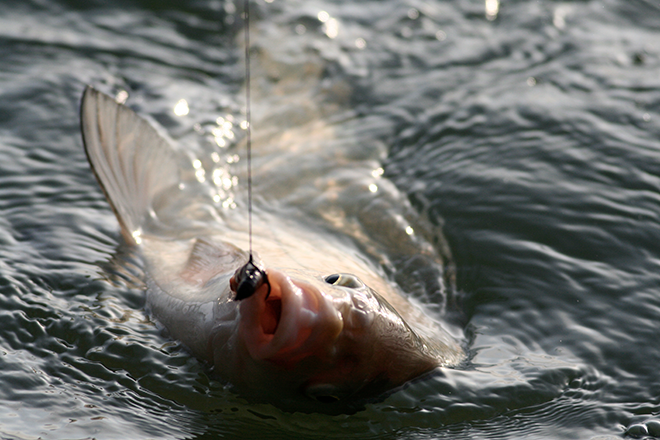 Most of the anglers are catching small bluegill and small catfish on various lures.